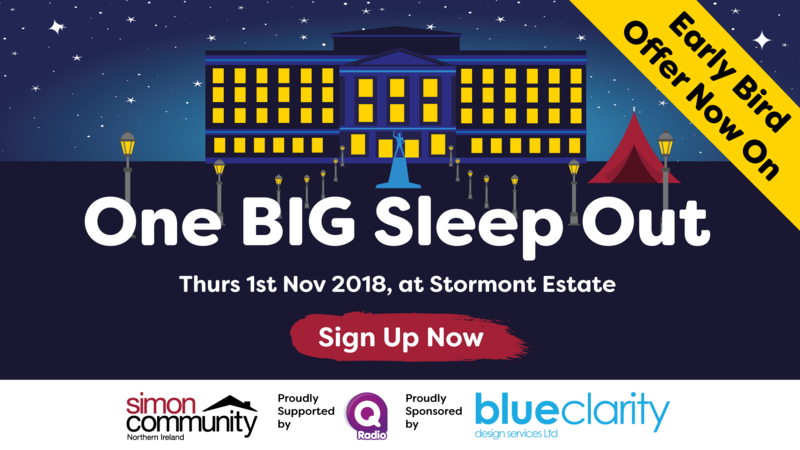 Simon Community NI is excited to announce their One BIG Sleep Out is back! This year the event, sponsored by Blue Clarity and proudly supported by Q Radio, will be held in the grounds of Stormont Estate on Thursday 1st November from 7pm. Officially launched on the 10th October to coincide with World Homeless Day 2018, the event asks local people, businesses and groups to swap their beds for sleeping bags for one night to raise funds and awareness to help end homelessness in Northern Ireland. “Although One BIG Sleep Out won’t be able to replicate the real emotional and physical difficulties of truly experiencing homelessness, it will show you some of the realities and it will challenge you. 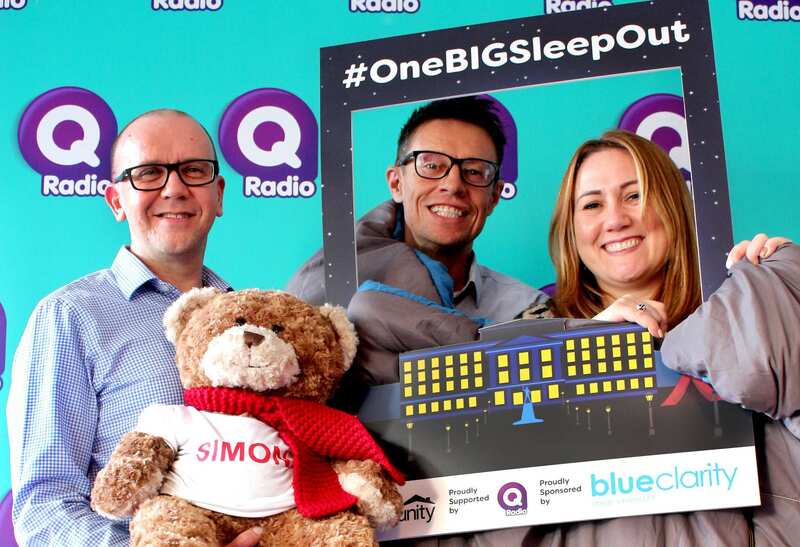 This year’s One BIG Sleep Out is proudly supported by Q Radio, with breakfast presenters Stephen & Cate taking part on the night. Early Bird registration is open until 15th October for just £20pp and each person is asked to raise £65 sponsorship. On the night participants will enjoy a FREE barbeque and some live entertainment before bedtime, so sign up now for your FREE Fundraising Pack! How will your support help end homelessness? Welcome Packs needed for people who find themselves without a home. Welcome Packs contain essentials such as food and toiletries for those who arrive at hostels with little or nothing. Individuals and families with emergency food, heating or clothing when they need it most this winter.